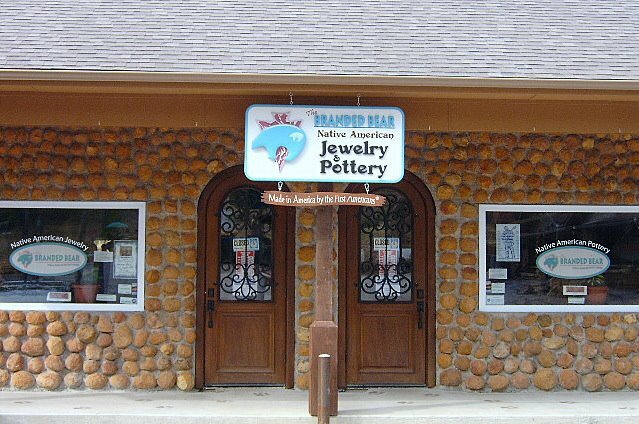 The Branded Bear in Medicine Park specializes in authentic, handmade Native American jewelry, pottery and artifacts. This one-of-a-kind shop has something for everyone. 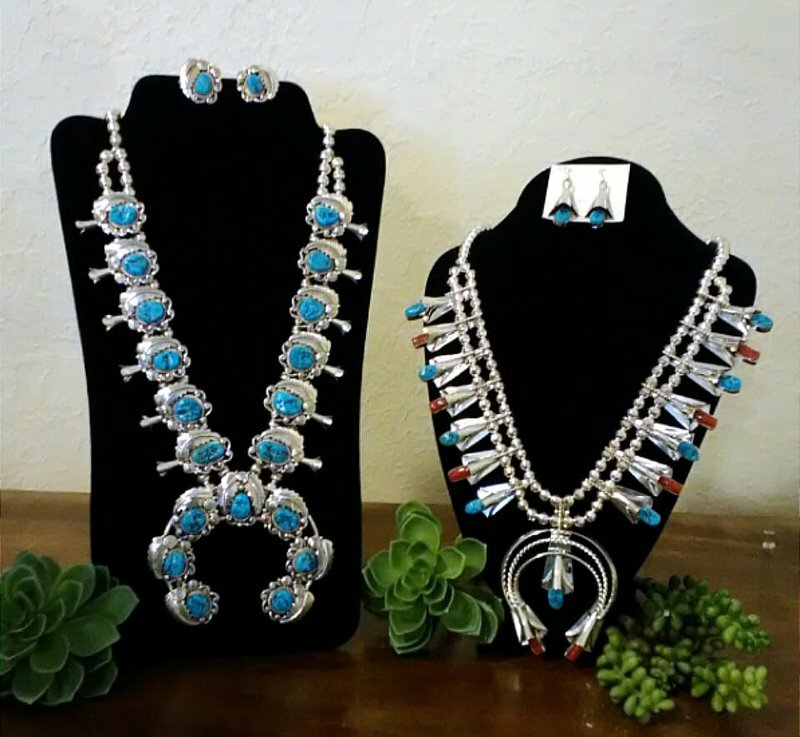 Located along a charming sidewalk in scenic downtown Medicine Park, this store features Native American art and jewelry representing 20 different tribes, including some from Oklahoma. Additionally, original watercolor paintings are offered by Medicine Park resident, Tom Biggs. The Branded Bear also specializes in handmade Navajo headdress war bonnets and pottery from the Jemez, Acoma, Cochiti and Zuni tribes. 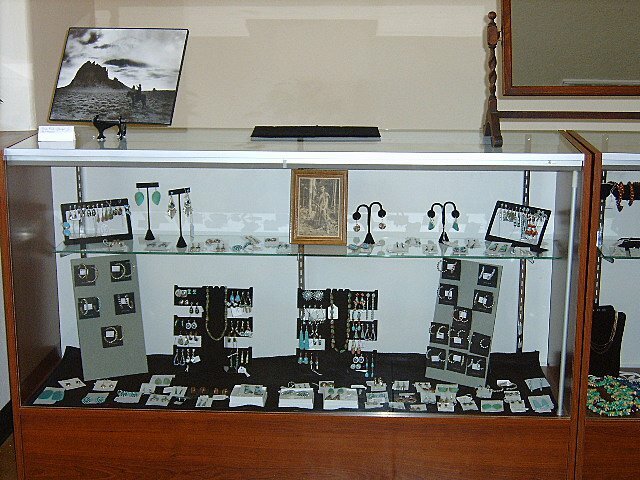 The Branded Bear is committed to selling only authentic, fine quality Native American Indian jewelry, art and pottery. The shop occasionally hosts events where shoppers have the opportunity to meet area artists. 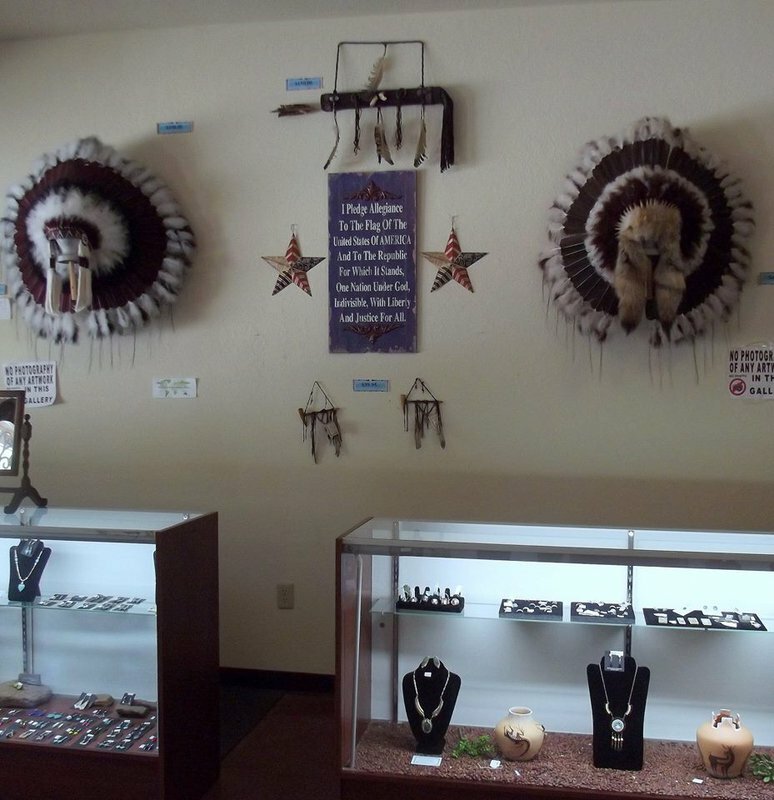 Stop by to learn something new about American Indian culture and pick up a beautiful piece of their heritage. From I-44, head toward the Wichita Mountains Wildlife Refuge. Store located in downtown Medicine Park across from Old Plantation and next door to Medicine Park Fire Dept.